This is David Friedlander, principal of Trinity Catholic School. Due to forecasted severe lake effect snow, we will be dismissing students at noon today. Living in one of the snowiest areas in the nation, parents of Trinity Catholic School students in Oswego hear a similar message several times each winter. But thanks to a technology called SchoolReach, they don’t have to rely on catching the information on the radio or television. The message goes immediately to their home phone, cell phone or e-mail. 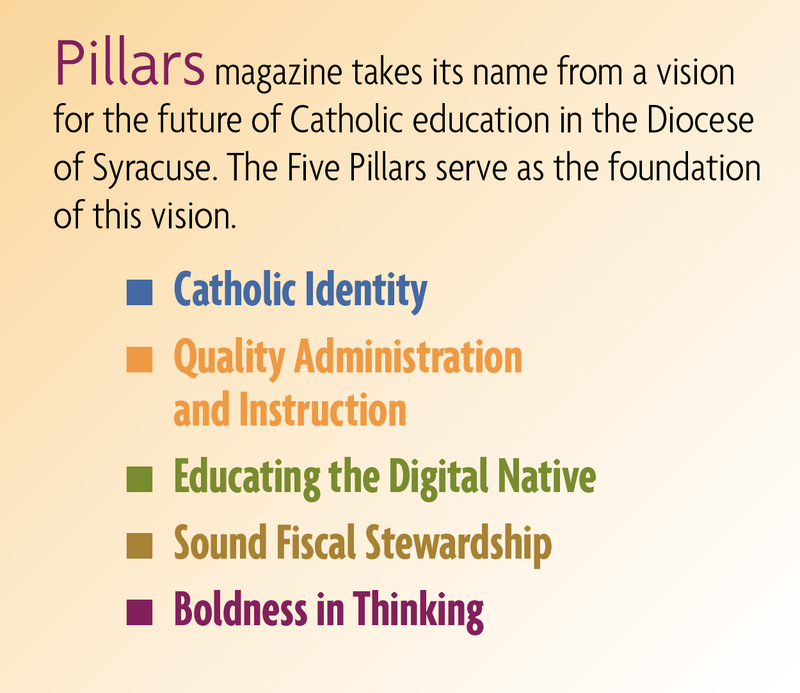 SchoolReach is a technology system most of the Catholic schools of the diocese have invested in recently. It allows school officials to send a recorded voice or text message in real time to a predetermined list of parent contacts. Using an access code, school principals can activate the system by phone from any location, a benefit when a decision has to be made in the early hours of the morning or when a school administrator is off site. Regardless of where the message originates from, parents see the name of the school on their caller ID, so they know to pick up the phone. Wheeler uses parent-teacher conference day in the fall to test the system using the current school year’s most recent contact information. Parents are prepared to receive the “test” call and can let the school know whether or not the message was properly received. All contact information is stored in a database that can be updated quickly by school personnel as often as necessary.